New Price! 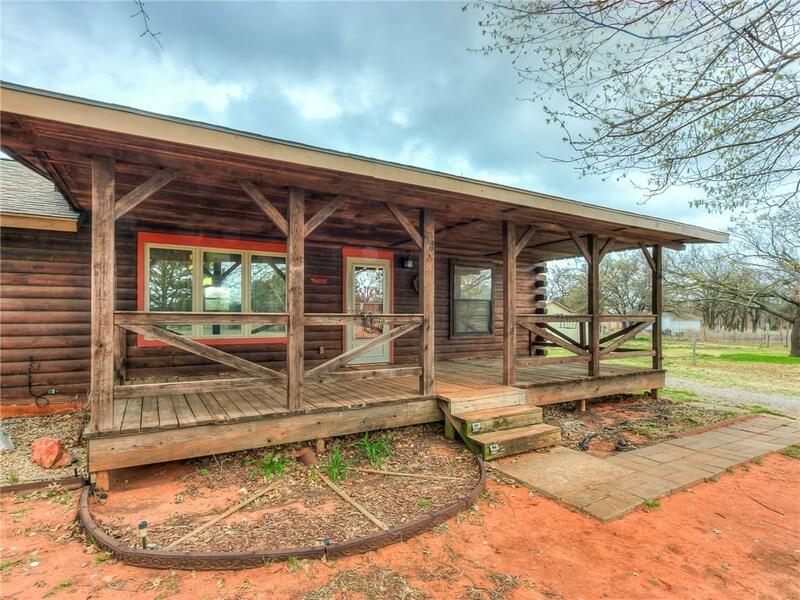 Welcome to this fabulous One Of A Kind true cedar log home by way of a huge covered front porch. Home offers 3 bedrooms, 2 full baths and a huge living area with wood burning fireplace. Nice open kitchen with beautiful custom stained glass inset cabinet doors and movable breakfast bar area. Ample space in dining area for large table. Wood laminate flooring throughout. Corner lot property is fenced and cross fenced for livestock with multiple gateway access. 2 loafing sheds and covered stalls. Pasture and riding stable areas. Storage barn with concrete floor, electric and overhead lighting. 24' above ground pool. Home has city water for home and well for outside use. Total electric. All perfectly situated on 2.10 acres. This awesome home is move in ready for you and your horses, chickens and goats. Seller is motivated and ready to hand over the keys!